Congratulations to the Good Diabetes Care in School Award holders in the North West, Diabetes UK officially recognises that these schools deliver effective diabetes care and management. View the winning schools in the North West below, and to view the national winners visit ourhonour wall. Relationships are excellent and I feel that staff are willing to listen and learn and do their best to understand how my son's Type 1 diabetes can affect him at different times. My Son is happy and confident in this school and has been thriving since the start of Year 7." Marple Hall School, Greater Manchester. Day-to-day care, which includes carb counting, monitoring glucose levels, applying insulin, treating hypos, prevenitng hypos and calculating/adjusting insulin correction when glucose levels are high." Thornton Primary School, Thornton Cleveleys. At no point since diagnosis has my daughter ever been made to feel that she is different. The school has a very caring ethos. St Thomas continues to provide excellent diabetes care in school. It's llike one big supportive family. My son is the only child who has Type 1 diabetes in this school but he is never made to feel different." I can honestly say that any of my apprehensions were erased by the confidence, enthusiasm and willingness of the staff to support my son." From the start of our son's education journey in nursery, all staff have shown full commitment and a willingness going beyond our expectations." We believe the school should be considered for this award as recongnition for the contribution they have made to the good care of diabetes." I am very pleased with the way this school has looked after my daughter, 5 star treatment! Always happy to help and always phone if any there are any problems. As a school they go the extra mile. The school have done everything for my son in the very best way, raising awareness, day to day care, extra cirricular activity and I am very satisfied and happy. The school always ensure the child is included in all diabetes decisions which ensures that he is not only getting the correct care and treatement but that he is learning and understanding about diabetes. They are a great school and are very helpful and understanding in my son's diabetes management. The school is very supportive and all children with Type 1 diabetes are allowed the same opportunities as everyone else. The school's support to my son and the family has been amazing! This school has regular updates for all members of staff and are very supportive to the child and family. I couldn't really ask for more. All his teachers know about his diabetes and he is also allowed to do extra activities in and after school. The school always liaises about young people with diabetes and provides an inclusive environment. The school provide a first class service for my son. I can happily send him to school knowing he will be well looked after. The school undertook a Typeonsie fundraising day for my son's local diabetes support group. The smile on his face was priceless. The school has been a massive support network for us as a family and my daughter. The staff have enabled her to continue in a normal school environment. The school care for multiple students with diabetes. They embraced the Diabetes UK Individual Healthcare plans despite having their own plan in place. I receive regular feedback from the school who update the diabetes team on each pupil's condition. The day to day care of my son is unbeatable, the school follows his care plan and contact me if they need to check anything. He goes to school and I am satisfied that he will be taken care of. He was worried that we would be late in from lunch for checking his blood glucose levels so the school issued him with a pass. The school have started an initiative led by those with Type 1 diabetes, to support those newly diagnosed or moving to the school. The students are always supported by the first aid co ordinate, both emotionally and with their diabetes management. The students needs are addressed concerning safety, privacy and dignity and they know who to turn to for help. The school include my son in all school activities making him feel no different to any other pupils. The school also held a fundraising day for Diabetes UK which made him and another pupil with diabetes feel very important. The school applied for funding from the local authority to enable them to increase their teaching assistant so that a member of staff is always variable to support student with diabetes. They are a very proactive school and inclusive. The care is fantastic she has a lovely relationship with her trained teaching assistant. I know my daughter is safe when she is at school. Her medical needs are always made a priority. All teachers were amazing on every level of my daughter's care. They helped her gain more confidence in self management for secondary school. The best thing was the head teacher saying ' don't worry we'll do everything you do at home and treat her like our own!' They did a fantastic job. The school staff were keen to learn about the student's diabetes and how best to support her at school. The school contacted me each time training was needed or the care plan required updating. My daughter is treated as just another member of her class, but she is still treated also as a child with very individual needs. Nothing, to her, is different and she and her classmates play and learn together. Her classmates are easy with her needs too. This means a lot as a parent. The school has pulled out all the stops since having a student with Type 1 diabetes. They have put in a great amount of effort to ensure their knowledge on diabetes is up to date. They communicate daily with parents but equally use their own initiative to resolve any issues. The school have never made my son feel any different from the other pupils. Thanks to the school he has no negative associations with his condition and neither have his friends. Day to day care is calmly and professionally handled. The school has been an absolute pleasure to work with. They have gone above and beyond caring for the student. Knowing that the school strives so much to integrate pupils with long term health conditions fills me with pride. My son was diagnosed at the age of four, while were learning about his condition at the hospital the school were exemplary at this time and so supportive. Several members of staff stepped forward to help my son, his daily care is outstanding. His classmates understand his condition and care for him in the same way as before the diagnosis. Regular meetings with the student's parents to make certain that they are following the care plan and updating as necessary, All staff are very proactive, the head teacher asked for a talk so that everyone in the school could spot the signs of a hypo. Importantly though never making the student feel like he's different. The school looked after my son on a day to day bases ever since his diagnosis. All staff are trained and I feel relaxed and confident when he is in their care. My son took part in the Duke of Edinburgh bronze challenge, camping out at school and on a 5 day residential. There weren't any problems related to his diabetes. The staff go above and beyond their duty of care for the child with diabetes. The staff have negotiated a plan to help develop the student's independence. The school recognised that my daughter's diabetes care would require intensive input and they have put in a huge amount of effort to ensure that the they got the funding to provide the care. The school is fantastically inclusive and my child goes to many after school clubs and will go on an overnight trip next year. Treated the child like any other, whilst managing the child's diabetes while in school very well. Staff at the school are eager to receive education and updates to provide the best care possible. Excellent one to one support from the teaching assistant, a successful school trip and the school has ensured that all staff are aware of my daughter's condition and its implications for day to day care. The children have been on activity days and a three day activity holiday. The school provide an excellent level of support for the children. The day-to-day care and understanding of my daughter's diabetes is very good as my daughter is new to all of this. She has had lots of ups and downs and time off school and they have been very good. The place that she can go and sit and do injections and even just chill if she is not too well is excellent. The staff at the school all have attended diabetes training and are all competent in supporting young people with diabetes. The school is very aware of the day to day needs and support of a young child with Type 1 diabetes. Both children with diabetes are well supported and cared for. Staff goes above and beyond the duty of care, ensuring pupils are safe and involved in activities during and after school. I feel that I am relaxed taking my daughter to school because they are outstanding at looking after her with her diabetes. When she feels down about her diagnosis I felt she could speak with any teacher for support and they got her a counseller to help her through her rough patch and she is so happy with how school has helped her. They are amazing. They have never excluded her from any of the day to day things including after school. School has been extremely supportive in caring and managing child with diabetes in school. Staff attended training in diabetes care. The school listens to our views and we work together in compiling an individual care plan for different scenarios (school trips, sports, etc). They supported my child when she undertook a sponsored bike ride for an overseas diabetes charity. They encouraged her to do a whole school assembly about diabetes. They don't treat her as 'special' and support her in all her sporting activities. The school have worked tirelessly to ensure the child enjoys school in a ‘normal’ manner. They have embraced training and now manage CSII Therapy well. They have done marvellous work in the way they look at her diet and carbohydrate counting. The school deserve this as they really work hard to allow her to lead a normal time in school in a safe manner. A great team effort. Day to day care is exceptional, staff are willing to learn and update knowledge to support my son. Nothing has been too much trouble for them. The child has always received excellent care from school staff who go above and beyond their duty of care to ensure that his school life is not hindered in any way due to diabetes management. They have been amazing. They have ensured my son hasn't missed out on any opportunity or activity. They have supported every change in his regimes, from twice daily injections, to multi-injections to an insulin pump. They have put plans in place so that my son could attend residential trips. We cannot fault the care and support he has received. School is always approachable, supportive and caring. The day to day care that the school has provided my son with has enabled the condition to be as normalised as possible. Several different staff, including the after-school club, are trained to look after him and this has ensured he has played a full and active part in school life. School have been very good at addressing the pupil's needs. They have coped well with having more than one diabetic child in a class and have worked to look after Thomas as an individual, without singling him out. School have done all they can to help normalize Thomas' condition and have allowed him to feel included. The school has given my son the best care possible from day to day care to extra-curricular activities. They never exclude him from anything. The school has requested education for other school pupils on Type 1 diabetes. They also have regular updates and training for new devices including insulin pump and CGM. The school is exceptional in caring for his condition and have great communication with myself. They are never overwhealmed and always support all aspects of his schooling and care. The staff goes above and beyond the duty of care. They have supported the student with his management of diabetes and are encouraging him to learn more about his diabetes and become increasingly independent. They were 100% supportive of my son and the whole family. I cannot fault Jericho School. The school have provided individualised care to their student with diaebetes and recognised that the needs of one child with diabetes will not be the same for others. My son says he feels he is always listened to and if he says he feels low he is always tested straight away. He thinks that the times he can't take part in P.E. the TA makes sure he does something fun. 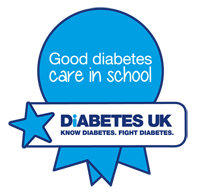 The school are very keen to ensure that pupils with diabetes are cared for properly. Unconditionally supported my child in all aspects of school life, including trips abroad. Provide in depth expert care from very interested nurses. They go above and beyond to support children with diabetes. My child enjoys going to school and trusts her teachers a lot.She has never been made to look different. The staff are genuinily caring about helping the pupils manage diabetes safely.